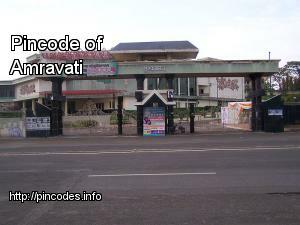 Amravati(Marathi:अमरावती) �pronunciation� also known as "Ambanagari" is a city in the state of Maharashtra, India. It is the 8th most populous metropolitan area in the state. It is the administrative headquarters of the Amravati district. It is also the headquarters of the "Amravati Division" which is one of the six divisions of the state. Among the historical landmarks in the city are the temples of Amba, Shri Krishna and Shri Venkateshwara. BJP's Sanjay Narwane was today elected as the Amaravati Mayor while Sandhya Tikle from the saffron party will be the Deputy Mayor. The Bharatiya Janata Party (BJP) registered an emphatic win in Amravati Municipal Corporation Elections 2017.